T-Mobile will be offering the new cellular iPads for the first time, as well as 200MB of data for free per month! 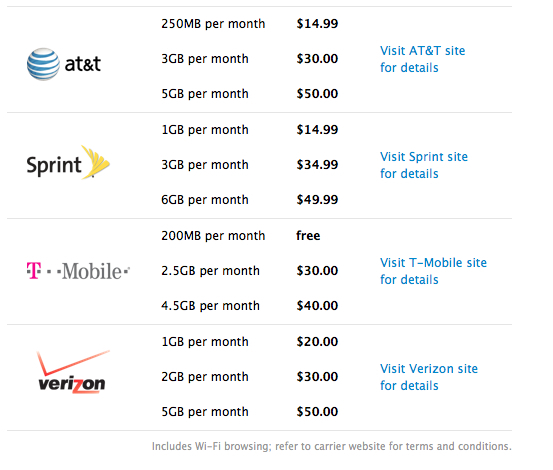 Users can purchase more data for $30 (2.5GB Month) or $50 (4.5GB month). CEO John Legere hinted on twitter that they have more plans to "unleash" you tablet on their network, and will reportedly unveil more information tomorrow morning. Previously, T-Mobile users had to but sim cards in unlocked iPads to use their devices on the network, which now, is no longer the case.